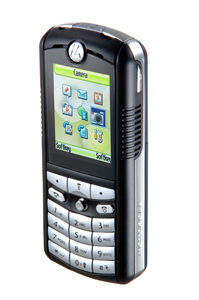 This device built on triplet platform (analog of Motorola v300, v500, v600) is focused on youth. It has two stereo loud speakers, light themes, changeable memory cards and improved software. Color screen shows up to 65000 colors (TFT), the resolution of 176x220 pixels, up to 8 text lines + 2 service lines. Phone book memory for 1000 names, several types of phone numbers but only one number for a name. A possibility to keep e-mail address, a photo or picture can be assigned to a name.